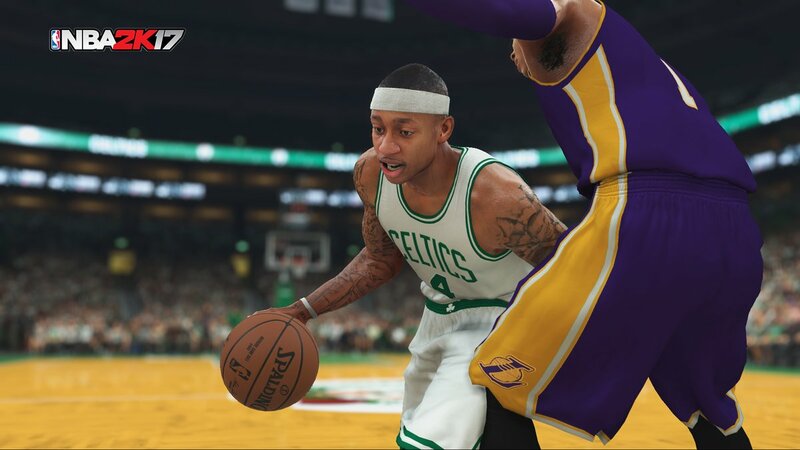 Last week, NBA 2K released the patch 1.08 of NBA 2K17. This patch contains lots of changes of various modes in NBA 2K17. Here we'll post the main details below. • Fixed an issue that would cause some users to sit on the team logo screen during startup for an extended period of time. • Corrected a case where users were able to upgrade their MyPLAYER outside of the constraints of their selected archetype. • Fixed an issue that was preventing offensive strategies from running properly during gameplay. • Difficulty level for MyTEAM Play With Friends games has been changed to All-Star. • Fixed a case where some Grand Badges were incorrectly negating the effectiveness of other Grand Badges they should not have. • Addressed a hang that could occur during a Park After Dark event when leaving and re-entering the event. • Fixed a case where certain users would not appear in a MyCOURT owner’s “In MyCOURT” list, making it impossible for the court owner to kick them from the court. • In MyPARK, users will now have the default camera settings for their chosen camera angle, and will still be able to select the camera of their choosing. • MyPLAYERs are now able to attain an overall rating of 99. These patch fixes will work in your existing game mode saves unless noted otherwise. The new patch is available now on the PlayStation 4 and Xbox One (2.7 GB). Additionally, it has been clarified that the patch 1.09 on PS4 is essentially patch 1.08. 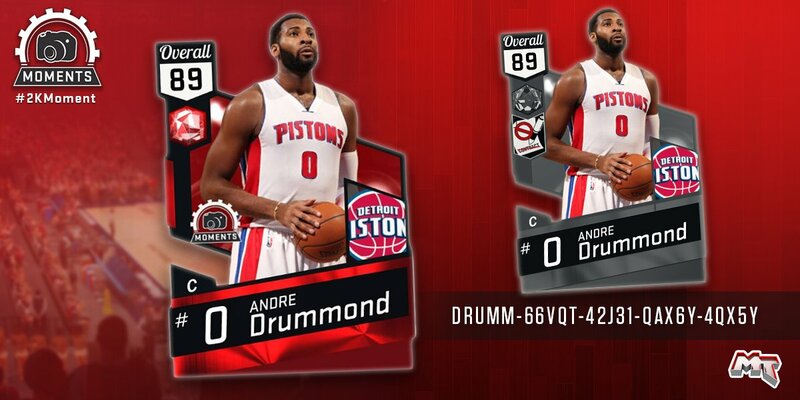 By the way, the latest update of NBA 2K17 Locker Code is that Andre Drummond revealing his code "DRUMM-66VQT-42J31-QAX6Y-4QX5Y" in his twitter page. Use it and get this excellent player.